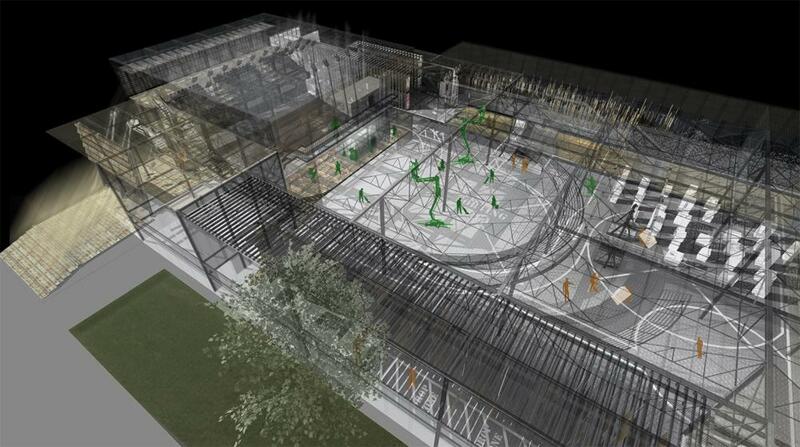 The Perpetual Palace is the culmination of studies into informal systems in and around Brighton. It argues that architecture can be designed to fit the ever-changing needs of the city, embracing temporality and creating a fluid feedback between the structure, its occupation and its inhabitants. Adaptability is fast becoming an essential trait in a world where progress is increasing exponentially, creating an ever-expanding gap with the development of the city. 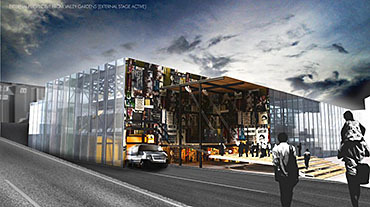 The world needs a new form of architecture that is fast, quick, agile and embrace consistently changing social trends. I propose that this architecture must be born out of the necessity of society, and have the ability to adapt to the needs of the internal and surrounding programme, rather than be determined by archaic legislation. 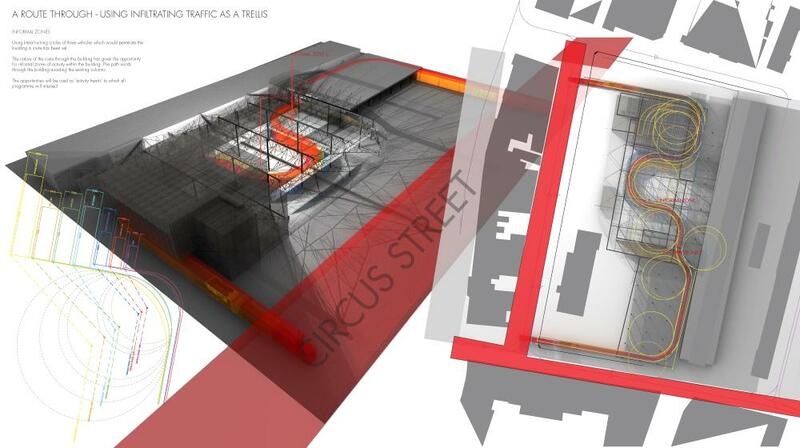 The programmes occupied by the building work on an overlapping 24 hour cycle; the Fruit and Vegetable Distribution Centre [Historical], The Material Reuse Store [Existing] and a dynamic theatre [New]. The constant occupation provides a social hub in a currently unoccupied and dilapidated area of Brighton. 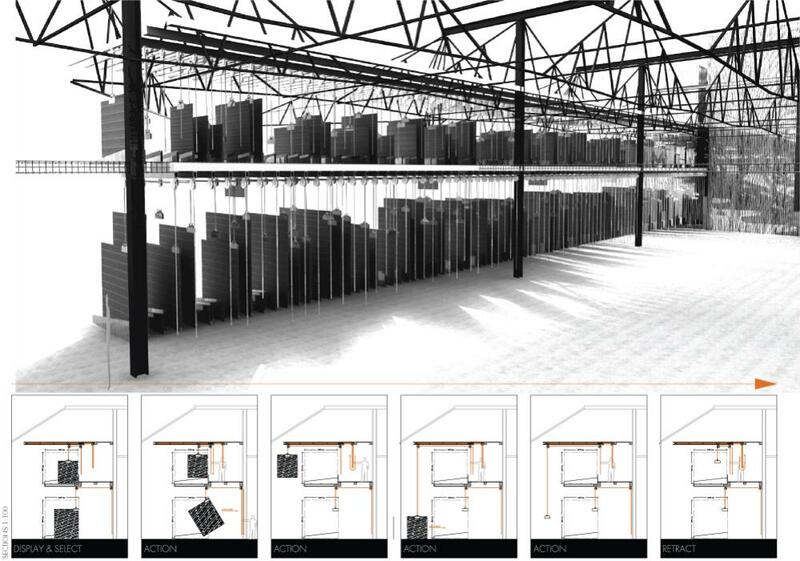 The use of the existing grid structure of Brighton Municipal Market was used as a trellis for a new architecture. 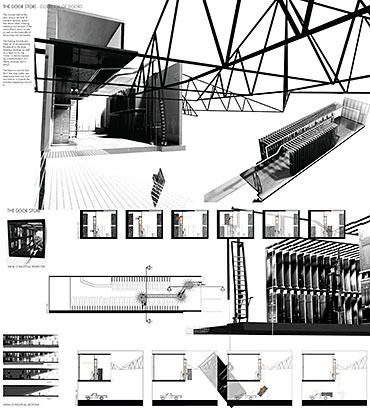 Based on the 60’s principles of Archizoom and Cedric Price, the informal occupation of the building happens in and around the grid, allowing safe and controlled growth. 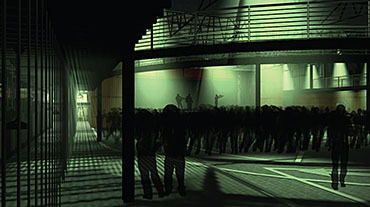 Whereas the existing grid is fixed, the introduced structure moves to facilitate the active programme within. Complex component-based storage systems occupy the internal space, facilitating the collection and reuse of recyclable material of the city. The material is not treated as second-hand but rather the systems promote the qualities, uniqueness and texture of each individual piece. This, in turn, removes the negative stigma usually attached to reused material, making it more likely to be seen for what it could be used for, rather than what it once was. The vernacular runs right into the theatre, which, in-keeping with the language of the rest of the building, adapts to the size of the performance, or disappears altogether when not in use. 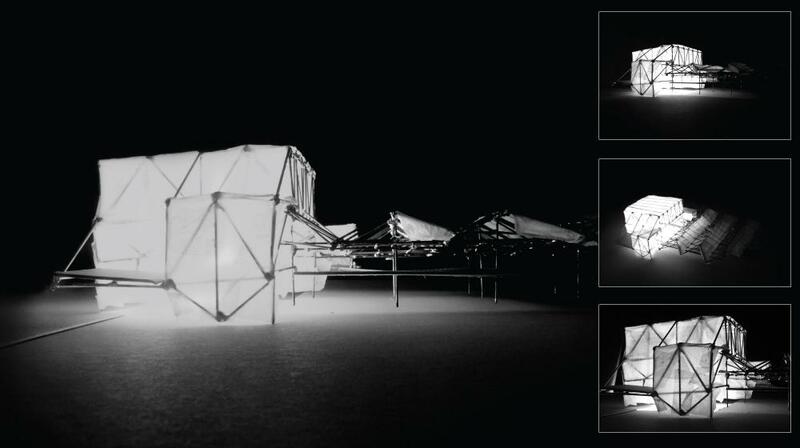 Andrew Linares’s Perpetual Palace embodies ideas developed over two years of postgraduate study, and represents an understanding of architecture as a functional element of urban infrastructure and a place for collective experience. A theatre, materials store, goods exchange and a food market, all take forward ideas first explored two years ago in relation to studies of productive landscapes and notions of ecological intensification. It has been a pleasure working with Andrew, as he has sought out ideas and concepts to clarify his understanding of where his work is coming from and its destination. 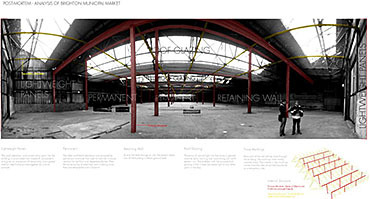 So it is typical that Cedric Price and Architecten 2012 have simultaneously informed his thinking and designing. Taking ideas from theory into practice through making at one to one has helped with technical understanding as well as embedding a feeling for the tactile qualities inherent in this proposal. The construction of a working chicken coop, for use by local food gardeners, early in the design process, set in place many ideas taken forward both at the scale of material resolution and in the design process. This coop, constructed following “harvest mapping” principals and incorporating sophisticated micro electronic anti fox sonic devices, became a touchstone for the final building that evolved and is presented here. 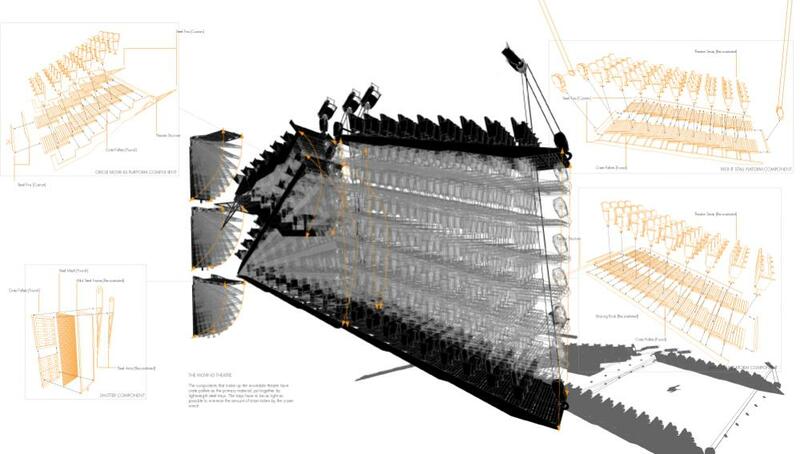 With the Perpetual Place ecological ideas related to closing urban waste cycles, harvesting, and time based sequences, explored originally with respect to cultivation, are extended and reintegrated into a programme grounded in its locality. Brighton, its Place Pier, its diverse alternative communities, and Andrew’s observations and experiments have led to this proposal for a celebratory space, as at ease with utilitarian programmes as it is with their playful configuration. Turning circles and through routes for vehicles servicing a reconfigured market, define internal spaces and territories. Building components are built around the the existing structural grid. The floor is reconfigured to demarcate and give coherence to a variety of new activities within the market building. The theatre adapts to the continuously changing 24 hour cycle of use within the building, expanding, contracting, appearing and disappearing, adapting to the programme within. Every component is constructed with recycleabilty and reuse in mind. The Door Store, provides a storage system and sales point for recycled doors and also acts as the entrance to the theatre. A mechanism assists customers in selecting, moving and purchasing doors. 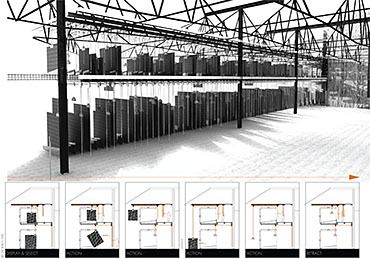 Perspective and sections showing the recycled sheet material store in operation. This acts as a dynamic façade exposing the materiality and activities within. A pulley system assists buyers in selecting material prior to purchase. 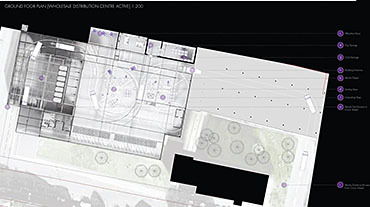 Ground floor plan showing activity between the hours of 0300 and 0800. 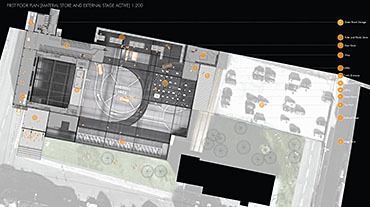 First Floor plan showing activity between the hours of 0900 and 1800. Documenting times of transition. At 1800hrs the material store closes and the music venue starts setting up. Model testing transparency and night time appearance. Perspective of the building in use as a music venue. Section AA shows the theatre and ground floor in occupation and Section BB shows the internal theatre folded away and the external stage in use. 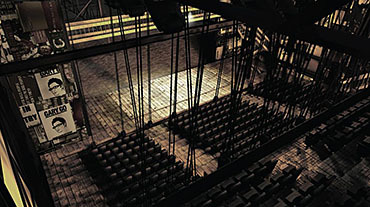 View from Circus Street with the external theatre in use.